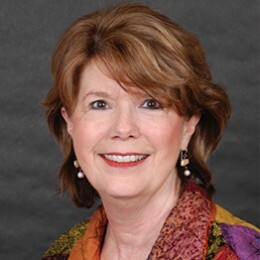 Elizabeth “Terry” Fontham, is Founding Dean and Professor of Epidemiology Emeritus at Louisiana State University School of Public Health, having served on faculty since 1980. She is an internationally recognized cancer epidemiologist with a research focus on the etiology of tobacco and nutrition-related cancers. Terry is a member of the National Cancer Institute Board of Scientific Counselors and has served on numerous NCI advisory and ad hoc committees. She served ten years on the national Board of Directors of the American Cancer Society and as national President in 2009. Terry is the author of more than 200 scientific publications and the recipient of many noteworthy professional awards. She is actively involved with several non-profit organizations including the Louisiana Public Health Institute and the International Women’s Forum.